Last March, six Lockheed Martin F-117A Nighthawk fighters took off from Holloman Air Force Base and made their last landing at Tonopah Test Range in the remote northwest corner of Nevada’s Nellis Air Force Base. Their wings removed, the aircraft will be stored in secure hangars there rather than in the customary open-space aircraft graveyard in Arizona. The retirement of the jet, scheduled for April 2008, is not a surprise. Despite its success in the first Gulf War, in which the F-117A fleet was credited with disabling Iraq’s air defense system during the opening stages of the conflict, it has been many years since the Pentagon invested significant money in the F-117. Neither has its reputation for invincibility survived; that died in 1999 when a wily Serbian crew shot one down with a vintage Russian missile. And although there is no direct replacement for the F-117A, there are now both fighters and missiles that can do part or all of its job. The seeds of the stealth fighter’s obsolescence were sown at its cold war conception, when it was rushed into production in 1978 as a way to defeat Soviet air defenses in the event that NATO was called upon to defend Central Europe. Because it was designed and built quickly, the airplane had limitations that could not easily be eliminated. But it was a historic achievement nonetheless, a first-of-a-kind that will pass on its design philosophy and operational lessons to future generations. The F-117 might have had a longer period of gestation had Soviet-made missiles in Egypt and Syria not mauled the skilled Israeli air force during the 1973 Yom Kippur war. An assessment by the Pentagon’s Defense Science Board the following summer made depressing reading: The more sophisticated defenses in Eastern Europe would likely prevent NATO air forces from hitting their ground targets. The assessment helped fuel interest in the idea of a low-observable or “stealthy” airplane, leading to the award of the first study contracts in January 1975. And, as the summer of that year passed, it was increasingly clear that researchers at Lockheed Martin and Northrop Grumman were on the edge of an astounding breakthrough, achieving reductions of radar cross-section (RCS, the measure of an object’s size on radar) that had been considered impossible. The key to the breakthrough was a compromise. Engineers had known that it was theoretically possible to use shaping and materials to make an object seem smaller on radar. The snag was that calculating the RCS of a complex shape like an airplane, from all angles, over a range of radar wavelengths, while taking into account the effects of radar-absorbent material, was vastly complicated. The computers of the early 1970s simply weren’t up to it. It was Denys Overholser, an electrical engineer at Lockheed’s Skunk Works, who realized that the problem could be worked from both ends. While more powerful computers and new software would help solve the RCS equations, the airplane could also be redesigned to make the equations simpler. That is why the Lockheed design that took shape in the summer of 1975, breaking the tradition of every airplane before it, had no curved surfaces at all. The discovery of a 1964 paper published by Russian mathematician Pyotr Ufimtsev, which showed that a radar return is proportional to the arrangement of edges of an object, not the size, inspired a new shape of airplane (see “The Invisible Men,” Apr./May 1997). 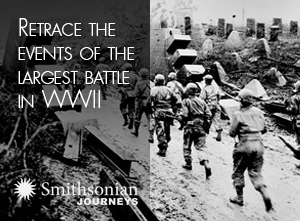 The entire shape was made of flat plates and covered in linoleum-like, radar-absorbent material. Nobody had any illusions that the resulting airplane would set records for range, speed, or maneuverability, but the compromise was vital to Lockheed’s winning the contract for the Experimental Survivable Testbed, or XST, in April 1976. It would also prove critical in the design of the F-117—and, in the long term, seal its fate. In November 1978, after the XST prototypes (renamed Have Blue) had flown, Lockheed was awarded a contract to develop the aircraft, under the code-name Senior Trend. The Pentagon’s leaders had recognized the power of stealth and initiated a secret debate about how to exploit it. The final decision was to field, as quickly as possible and in complete secrecy, a stealth aircraft designed primarily for one mission: putting a bullet through the brain of the enemy’s air defense system in the first hours of war. Lockheed would build five development airplanes while starting an initial batch of 20 production aircraft. The goal was to fly the first aircraft in July 1980. The need for speedy design defined the F-117. Its external shape was as close to Have Blue as the designers could get, while achieving a just-acceptable range, altitude, and landing speed. Neither was there time to design parts for the entire jet. The navigation system came from the B-52 bomber. The engines were from the Navy’s F/A-18 Hornet fighter. The infrared targeting system, from Texas Instruments, was assembled from parts of other systems. The F-16 contributed the computers and flight control system. The biggest cockpit display was from the Navy P-3 Orion patrol airplane. Like the Have Blue, the F-117A was covered with radar-absorbent material—almost a ton of it. It was made in the form of flat sheets, cut to fit the skin panels, and glued in place. A putty-like material dubbed “butter” filled the gaps between the sheets. The engines were concealed from radar by Chrysler-like grills, and the hot exhaust gas from the engine was expelled through slits. The jet had no radar. There were ideas for “low probability of intercept” radar that could work without giving away the jet’s position, but the technology could not be ready in time. (Such LPI radar uses tricks with modulation, frequency hopping, low power, and huge bandwidth to obscure its signal.) The aircraft’s use would be confined to attacks under the cloud base or in clear weather. Even so, the jet was hard enough to build. The engineers were “inventing to schedule,” solving problems like keeping ice from forming on the inlet grills (a chemical-dispensing squeegee is hidden in the wings in front of the inlets) and on the air-data probes. They concealed the infrared sensor turrets from radar with a titanium wire mesh. The haste paid off. The aircraft reached operational capability in October 1983, later than envisioned, but still only five years after the go-ahead on development. The angles of the wings were calculated to disrupt the radar waves as they scattered away from the aircraft and thus prevent them from returning to the source. Likewise, all the doors and opening panels featured saw-toothed forward and trailing edges to disrupt reflection of radar. For all the hype, the aircraft was far from invisible. The RCS figures remain classified, but the airplane was more visible to radar from the sides than head-on. Planning the missions was difficult—because the jet could be seen by radar, the track had to be carefully adjusted to minimize the craft’s exposure. launched programs plumbing shapes and technologies that promised greater stealth and better aerodynamics. By the time the F-117A entered service, Northrop was flying the AP-1 Tacit Blue demonstrator, a stealth aircraft with curved surfaces, no inlet grills, and low-probability-of-intercept radar. The Air Force started studies of a stealthy supersonic fighter. The new jet had quite a lot wrong. The onboard computers did not have enough processing power. A rudder weakness limited speed. And maintenance was “a nightmare,” says Piccirillo. In January 1984, the jets needed 113 hours of maintenance for every hour they flew. And at any given time, only 11 percent were judged mission-capable. The kludged-together quality of the avionics was one problem, but it was the stealth technology that was the worst. The tailpipes were lined with ceramic bricks, made from the same quartz-like material used on the space shuttle. Each tile had to be cemented in place individually, and the seams between them filled with a putty-like material. Even a small gap could act like a tiny inlet, channeling the already blazing exhaust gas and heating it enough that it would burn through to the metal underneath. The biggest problem resided in the fundamentals of stealth. When a radar pulse lights up an airplane, electrical currents form all over its skin—and when they hit an obstacle or jump a gap, they cause tiny sparks or scintillations, which the radar can detect. The F-117 controlled these with a coating of absorbent material, but if the coating had even the smallest gap or crack, it could betray the aircraft. The aircraft had doors—the cockpit canopy, the landing gear and weapon bay doors, engine access doors, and so on—but they were heavy because they had to seal perfectly. The designers tried to make sure that components that needed maintenance could be reached through the doors; some of the airplane systems could be accessed through the weapons bays. Often, though, what would have been a routine repair on another aircraft required scraping off the material from an entire panel, replacing the material, and, finally, re-sealing it. Early in the 1980s, the Air Force planned to build an improved B model, but the money for the project was diverted into fixing the A. Replacing the computers started in 1984, and the first updated airplanes were in service by 1988. By that time, an automated mission planning system was operational. A new tail lifted the speed restrictions. The radar-absorbent material was improved across the 59-airplane production run—a mixed blessing for the overworked maintainers, because although the new aircraft were better, the Air Force ended up with four different stealth configurations, each needing different repair procedures. Piccirillo now says, “1988 was when we started to get some real capability” in the F-117. So the jet that became the hero of the first Gulf War was not quite the same as the aircraft that had entered service. The success of the campaign became an opportunity for Lockheed to plead for a second life for the fighter, but in the early 1990s, many weapons systems and philosophies competed for backing. Within months of the 1992 election that put Bill Clinton into the White House, every new and prospective tactical aircraft program had been canceled in favor of a project called Joint Advanced Strike Technology (JAST)—the precursor of the Joint Strike Fighter program, and the resultant F-35 Lightning II. It was the end of the road for an advanced F-117. The jets that were already in service continued to get upgrades. For example, the radar-absorbent material was stripped off, and new access panels were cut in the skin. The old linoleum-like stuff was replaced with sprayed-on material that incorporated “zip strips,” which the maintainer could remove to expose the edges of an access hatch. That and other changes brought the jet’s mission-ready rate to an excellent 89 percent. But the Air Force had allowed its unique fighter to become separated from the rest of its combat units. For almost a decade, the F-117 force had operated in secrecy at Tonopah Test Range. Not until 1992—after its success in Operation Desert Storm—did the Air Force move the fighters to Holloman. The idea to integrate the stealth fighters with the “iron jets” in the rest of the force occurred too late and too slowly. A senior F-117 pilot, Colonel Thomas “Bulldog” Shoaf, commander of the F-117 Weapons School, said the Air Force was slow to tout the full capabilities of a stealth aircraft, even among its pilots. It was during those isolated years that the Nighthawk force suffered its first and only combat loss. On March 27, 1999, an F-117A that had just bombed a target in Serbia was shot down 28 miles northwest of Belgrade. The weapon that shot it down was a veteran S-125 Neva-M missile system. The other side of the story emerged in late 2005, when the Serb commander whose battery had planned the attack discussed it in detail for the first time. Colonel Dani Zoltan—whose traditional Hungarian name had not been released because it wasn’t Serbian, a testament to the bad blood between the two nations originating in Hungary’s World War II invasion of Yugoslavia—emerged as an energetic and original leader who used good tactical sense and modified equipment to down the world’s most sophisticated stealth aircraft. To keep his radars and operators from being attacked, Zoltan kept them on the move. He led the Third Battery of the 250th Missile Brigade on more than 50,000 miles of blacked-out travel in the 78 days of the war. He also made unspecified modifications to the P-18 radar. Resembling a Rube Goldberg assembly of housetop TV antennas, the P-18 differed from most radar because it operated in the VHF waveband, transmitting at a much lower frequency than most other radars. The radar-absorbent material covering the F-117 is less effective against VHF radars. The jet’s primary defense against VHF resides in the wing edges, which take the form of deep and effective absorbers, called an “electromagnetic shock absorber” by chief engineer Alan Brown in a 1992 lecture. Avoiding detection by systems like the P-18 required a combination of careful planning, operational security, and tactics. But Zoltan’s hyperactive battery couldn’t be pinned down. Serb agents were tracking takeoffs from the F-117s’ base in Aviano, Italy, and airspace restrictions indicated that the fighters were following very similar routes, night after night. According to Dani, when the F-117A was head-on at 26,000 feet and eight miles out, the battery fired two missiles. Each would have closed the distance in seconds. The pilot, Air Force Lieutenant Colonel Darrell Zelko, has never specified how much warning he had of the attack. One still-classified aspect of the F-117 is whether it carries any kind of radar warning receiver. If it does, even the most comprehensive studies of the aircraft have not mentioned it, nor has it been mentioned as part of any upgrade. The shootdown led to such changes as the formation of an F-117 weapons school to develop, formalize, and train in tactics, and an increased emphasis on training with other forces, including the jet’s first participation in Red Flag war games. “Stealth is not perfect, and we still count on other assets to improve our capability,” Shoaf told the London conference. As other systems started to encroach on the F-117A’s battlefield jobs, the aircraft’s retirement loomed. One early herald of the end of the Nighthawk’s service life came in 1994, when the Air Force decided to add a guided bomb on the F-22. The only guided bombs available when the F-22 was designed used laser designation, and the F-22 flew too high for that to work. The picture changed with the development of the GPS-guided Joint Direct Attack Munition and the realization that better computers could make it possible to get a high-resolution ground image from the F-22’s radar. The fighters could drop ordnance on pinpoint positions. And then came the missiles. The view from the F-117’s strange cockpit is so limited that the mission does not call for the pilot to see the target with the naked eye. The airplane’s navigation system would guide the aircraft to a point where the infrared sensors could see the target. Then the pilot would find the exact aim point within the image and lock the laser designator on to it. But missiles such as the Joint Air-to-Surface Standoff Missile (JASSM), which entered service in 2003, can do the same thing, comparing the image from an infrared camera to digital images of the target area. Neither the JASSM nor the F-22 could replace the F-117 directly, but each reduced the number of tasks that only an F-117 could perform. 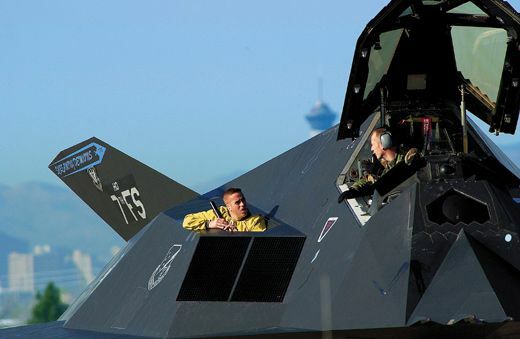 By 2005, according to Major Doug Downey, in charge of tactical training for the fighter, the F-117 force was focused on just a handful of missions. One was “eyes on target”: when no missile could be trusted to ensure that the target was hit, and it was critical to verify that the correct target had been struck. Another F-117 mission was carried out when the rules of engagement demanded that harm to surrounding people and buildings be kept to an absolute minimum. The F-117, with its ability to deliver a 2,000-pound warhead with precision, could also hit tougher targets and sturdier bunkers than any missile. One of the 1990s avionics upgrades had included time-over-target control, or four-dimensional navigation. If the requirement was to have the bomb go off at a precise moment, the F-117 could do it. But the final blow against the future of the F-117 was dealt by expensive wars in Afghanistan and Iraq. Struggling to maintain its budgets and protect pet projects like the F-22, the Air Force has targeted older aircraft like B-52s, U-2 spy airplanes, and F-117s for retirement. In 2006, the Air Force announced that the Nighthawk would be gone by 2008. New Mexico’s Congressional delegation complained briefly, but was placated with the promise of an F-22 wing at Holloman. This time, the F-117 could not hide from its foes. Compared head-on, the F-117A and the F-22 don’t look very similar. But turn one picture upside down and the relationship is suddenly very clear. Lockheed’s original Advanced Tactical Fighter design was very closely based on the F-117—or, to be more exact, what a second-generation F-117 might have been, with curved wing and tail surfaces, rounded edges, and new, lighter radar-absorbing materials. In turn, Lockheed’s F-35 Lightning II, intended to be the linchpin of both U.S. and allied fighter forces for much of this century, is clearly a cousin of the F-22. These designs reflect a philosophy that remains unique to the Air Force: that a fighter should be designed primarily around stealth. The U.S. Navy and European air forces have elected to build fighters (the Boeing Super Hornet, the Dassault Rafale, and the Eurofighter Typhoon) that use stealth technology to render hostile radars less effective, but are basically conventional, with weapon carriages and electronic jamming systems located outside the aircraft. Dassault describes the Rafale fighter as not stealthy (“furtif”) but discreet (“discret”), using a combination of stealth and low flying to avoid detection. Not surprisingly, Eurofighter and Dassault people claim that their aircraft are quite as capable as the F-35. They may not be as stealthy but they carry more weapons for attack and defense, and if you need the ultimate in stealth for certain targets, both fighters will carry missiles that can reach targets before the airplanes are in range of defenses. But the biggest influence the F-117 exerted on the F-35 is doctrinal. The way that the new jet uses stealth is rooted in the F-117A’s experience in the first Gulf War, which the planners had in mind when drawing up the specifications for the Joint Strike Fighter program (which developed the F-35) back in 1995. In that conflict, the F-117As had played the leading role in lobotomizing the Soviet-supplied Iraqi air defense system, allowing F-16s and F-15s to operate with relative impunity for the rest of the campaign. Faced with the task of building a tactical stealth attack aircraft that would cost less than the big, canceled A-12 Avenger II, Pentagon planners came up with a concept called “day one stealth”: For the first missions of the war, the JSF would be a stealthy airplane with a limited bomb load, like the F-117, but once the enemy’s defenses had been destroyed, it could be loaded with external weapons like the older fighters. It’s a great idea if it works—but the lesson from Serbia was that it did not, for two reasons. The air defenses did not want to get killed on the first night, so they sacrificed lethality for mobility, minimized the use of radar, and survived to harry the attackers throughout the campaign. They also abandoned the centralized Russian control model and improvised communications, using telephones. Last May, a Russian television documentary partly lifted the veil on that country’s stealth and counter-stealth research, showing that engineers there had reproduced and studied the signatures of U.S. stealth aircraft and exploited their vulnerability to long-wave radars since the 1980s. According to the program, new missile radars could “easily” detect stealth aircraft. Some of this may be posturing, but there is no doubt that radars have improved. For instance, it has long been theorized that radar could benefit from a “track before detect” technique, in which radars see targets so small they would normally be eliminated as noise. The problem with this approach is that it requires looking at patterns in the noise over time, and there was simply not enough computer memory to do it. No longer: As computer memory increases, this tracking-before-detection capability becomes more robust. It’s much too early to write the obituary for stealth technology, and every military aircraft under development today incorporates it to some extent. In that way, at least, the legacy of the F-117 will endure, since that airplane was the first to take stealth from the laboratory to the battleground. The Nighthawk fought the way it was designed—leading the way for the rest.